Love the colorful hues in the image above. Its bright and beautiful without being over the top. 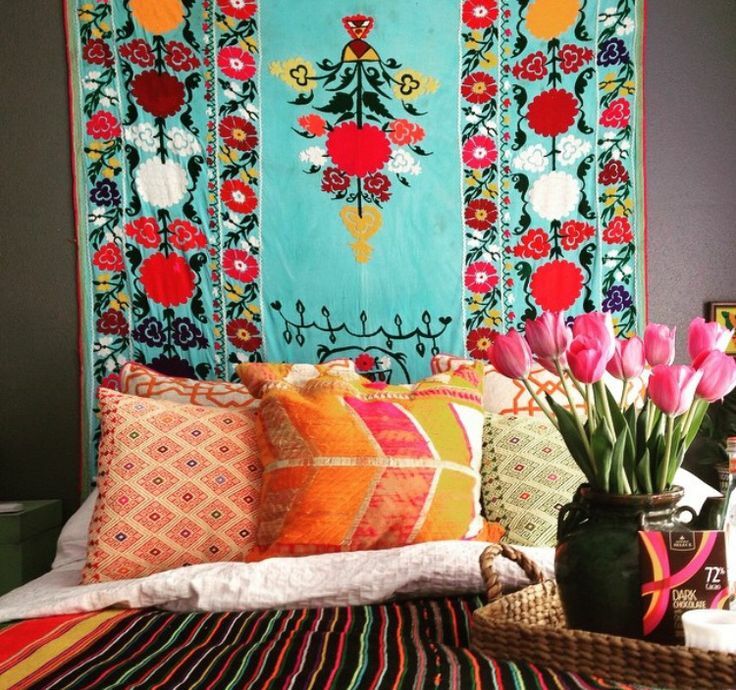 From the blue Suzani to the pretty tulips and the gorgeous tribal pillows....it all seems to come together.